A club shaft said to be in a laid off position is one that points to the left of the target at the top of the swing. In most cases the shaft will be pointing towards the sky also. It occurs whenever the wrists were lazy in getting into a full hinged position, which they ultimately never do reach. 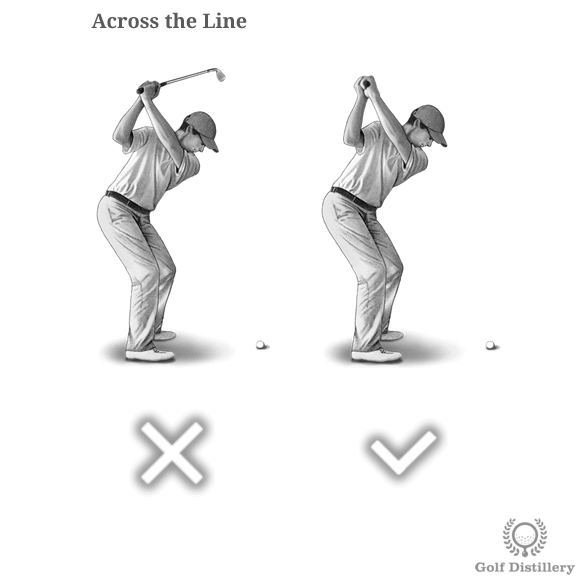 It can also occur when golfers adopt a outside-in swing path. 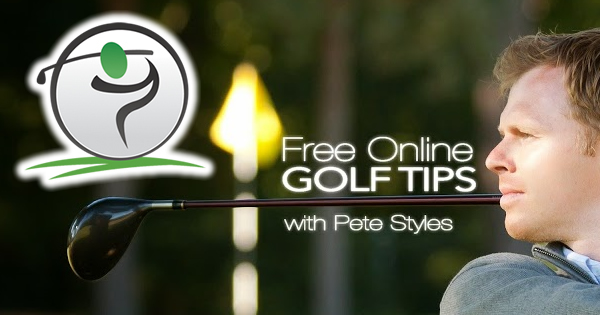 Consequently, it is normally best avoided as it hints to several possible swing flaws and can lead to mistiming issues at impact and a closed clubface which will send the ball left initially. 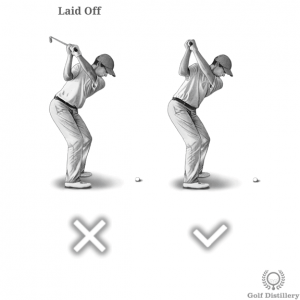 Opposite the laid off shaft position is the one referred to as across the line. In this top of the swing shaft position the club will be aiming to the right of the target, or across the line towards it. 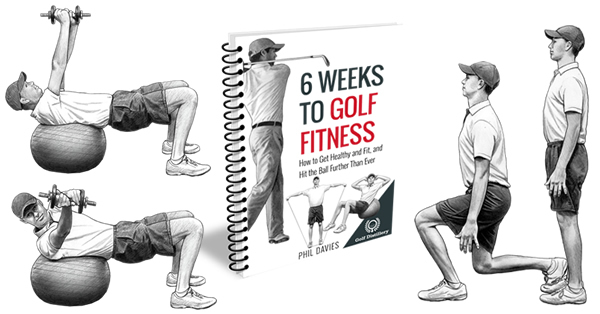 It can occur when golfers rotate their upper body (hips and shoulders) too much, or when they allow their left arm to bend at the elbow. It is also best to avoid positioning the club in such a way as it tends to favour an open clubface at impact, which will send the ball to the right, at least initially. 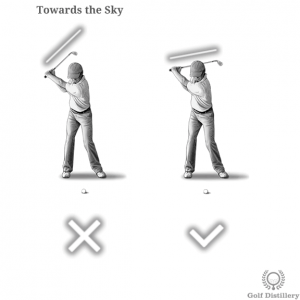 The proper horizontal direction for the shaft at the top of the swing is to have it pointing directly at the target. Or to be perfectly precise, to place it on a line that is parallel to both the one formed by your feet and to the one between the ball and the target. 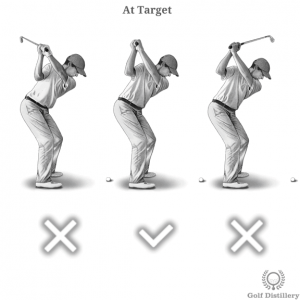 This position sets you up in the ideal position where the club should naturally reach a square clubface at impact using a square-inside-square club path. 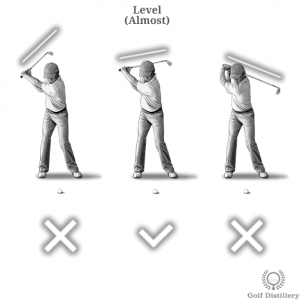 In addition to the horizontal direction of the club you will also want to consider how the club shaft is positioned vertically. Indeed, the first error is to position it past the point where it is parallel to the ground, to where it is aimed at the ground. This can occur whenever golfers over rotate their upper bodies and is usually associated with golfers that rise their left heel from the ground. It can also occur when golfers allow their left arm to bend at the elbow. Whatever the cause it is best avoided as it creates too much travel distance and raises the risk of timing and decel issues at impact. 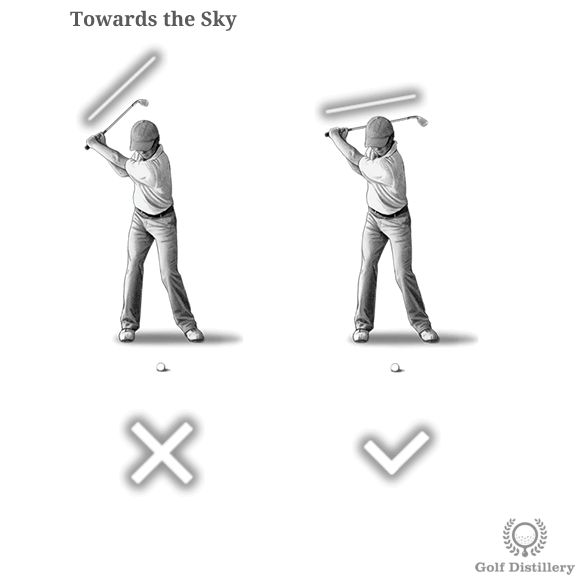 The second type of error manifests itself through the club shaft pointing towards the sky instead of the ground. 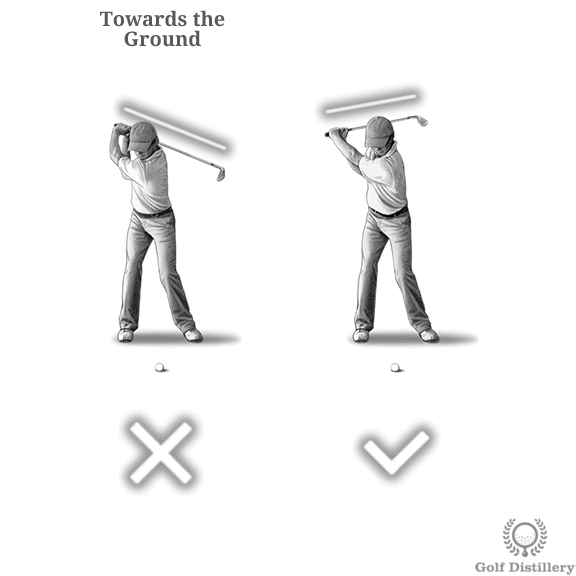 Indeed, in this instance the club shaft is never allowed to get to a position where it is parallel (or close to it) to the ground. 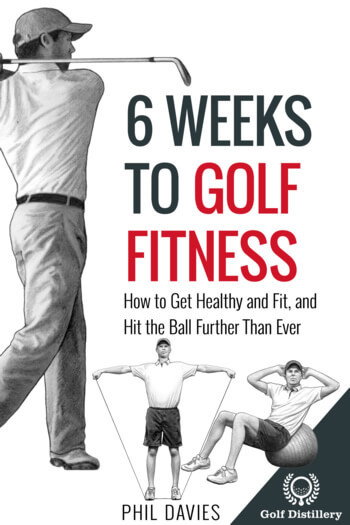 This usually occurs when golfers don’t hinge their wrists fully or when they under rotate their upper body via limited hip and shoulder turns. Since it features a reduced swing and one that won’t feature enough whipping action due to the limited hinge it is normally best avoided for full swings. 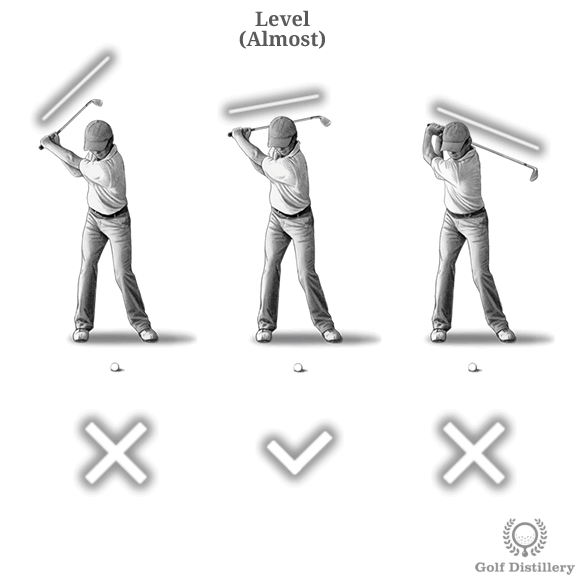 The correct way to position the club shaft vertically at the top of the swing is to put it parallel to the ground. It doesn’t need to be exactly parallel to the ground but it should not feature either the aimed at the sky or to the ground errors. 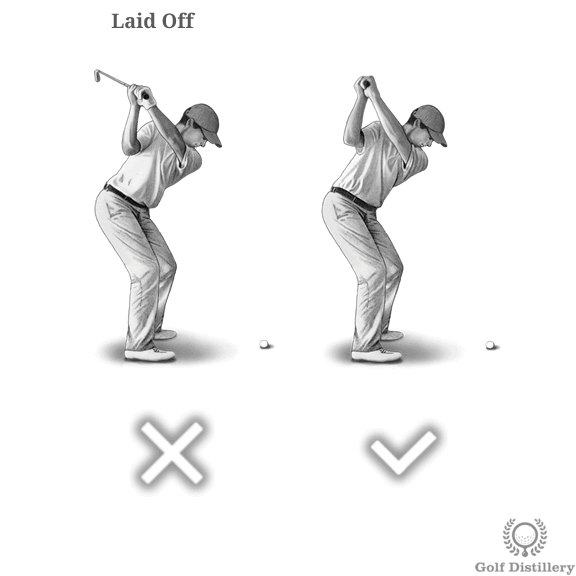 Such a position encourages the right amount of shoulder and hip turn as well as the correct amount of wrist hinge. Put it all together, this position favors a strong starting point for the downswing as the swing progresses towards the ultimate impact with the ball.